Providing quality products and services is a principle objective at MeterTest. The proof of commitment to quality is the implementation of the Quality Management System and obtaining ISO 9001:2008 certificate. 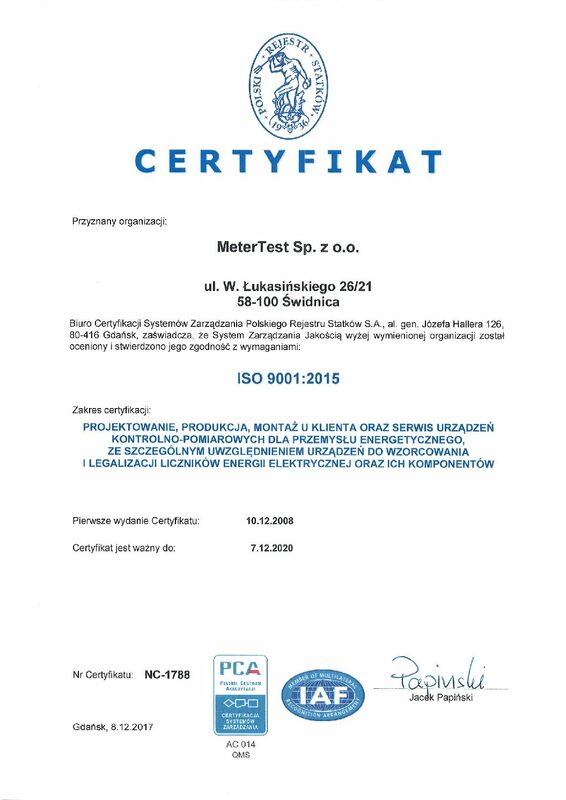 The scope of certification is designing, manufacturing, installation at customer site and service of tests and measurement equipment for the energetic industry and particularly electricity meter test equipment and its components. This certification indicates that a quality mindset permeates the activities of each department within MeterTest. ISO 9001:2008 - quality management systems.